Karmapa International Buddhist Society recently announced the introduction of the "Karmapa Award for Buddhist Studies". Since I am unaware how many people actually noticed it, I decided to bring it up here. It is a great opportunity for graduate students in the field of Tibetan and Buddhist Studies. This annual prize is awarded on behalf of the newly formed KIBS Europe e. V. in cooperation with the Institute for South Asian, Tibetan and Buddhist Studies, University of Vienna (read about the institute here). It primarily honors excellent PhD theses, but outstanding MA theses will also be considered. The laureate will not only receive a substantial prize money worth 1000€, but can also stay one month free of cost (including room and board, excluding airfare) at the Karmapa International Buddhist Institute, New Delhi, to engage in further research or study. If you finished your MA or PhD thesis not more than 2 years ago, you are eligible. Deadline for the Karmapa Award 2014 is March 31st. 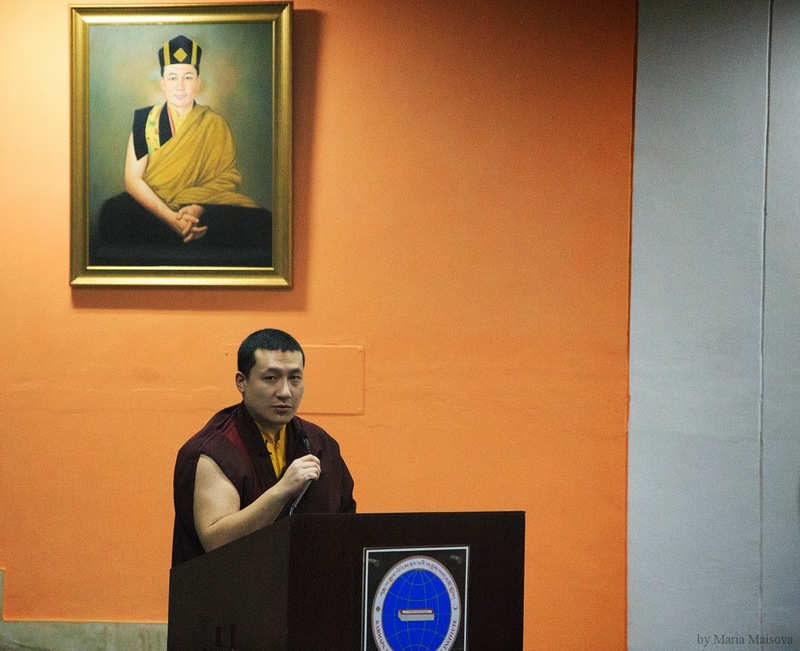 Karmapa International Buddhist Society (KIBS) announces the establishment of a yearly “Karmapa Award for Buddhist Studies” in cooperation with the Institute for South Asian, Tibetan and Buddhist Studies, University of Vienna. The prize is awarded on behalf of KIBS Europe e.V. to honor excellent PhD theses in the field of Buddhist studies, particularly works focusing on topics related to the Kagyu (bka’ brgyud) traditions of Tibetan Buddhism and Mahāmudrā doctrine. Outstanding MA theses may also be considered. Eligible dissertations contain original research that advances the field, and need to be based on relevant primary language(s). Please note that no more than two years should have elapsed since the awarding of the PhD(/MA) degree at the time of the submission deadline. The award consists of a prize worth 1000 € as well as a four week stay free of cost (including room and board, but excluding transportation/air travel) for research and study at the Karmapa International Buddhist Institute, New Delhi.